Gauteng and Northern-Natal, you are covered! We have solutions as unique as you are. We tailor policies to suit your business' specific needs, no matter how big or small. We specialise in Commercial, Agri, Transport and Car & Home insurance. Comprehensive personal insurance that protects your car, home, watercraft, bicycle and more. Customised insurance solutions that cover every aspect, risk and requirement of your business. An integrated insurance solution that offers a wide range of benefits, value-added services and products tailored for the transport industry. A Customised insurance solution built around the risks farms encounter every day. Why not become one of our many happy customers? Voorpos always provides sound advice and quality service at affordable rates. I have been with Voorpos for more than 10 years and will undoubtedly recommend them to others. I will also gladly testify to their good service and how the claims and underwriting are conducted. I won’t consider moving my business elsewhere as I am completely satisfied with Voorpos’ client service. Voorpos’ commitment to their community and their involvement in our schools has really impressed me. It’s wonderful to see the leaders of today shaping the leaders of tomorrow. I have been a satisfied customer of Voorpos Short-Term Insurance Advisors for more than 15 years. Voorpos provides fast, efficient and excellent service. They always have time to listen, continually make an effort to accommodate us and are there to assist when we need them. ADA wants to thank you for the good services through the years. The extra effort your company has put in is appreciated and the services have always been quick and therefore it will always be highly appreciated by ADA. I have been with Voorpos three years, and have been happy with their service from the get go. I am impressed with how professional they handle claims. 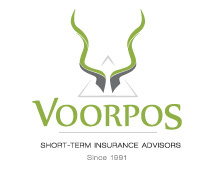 Since 1991, Voorpos Short-Term Insurance Advisors has built a reputation for being a trusted short-term insurance specialist in Limpopo. Offering an extensive range of insurance, value-added products and services; our customer-focussed roots remain at the heart of who we are. Copyright 2019 Voorpos Short-Term Insurance Advisors. All rights reserved.